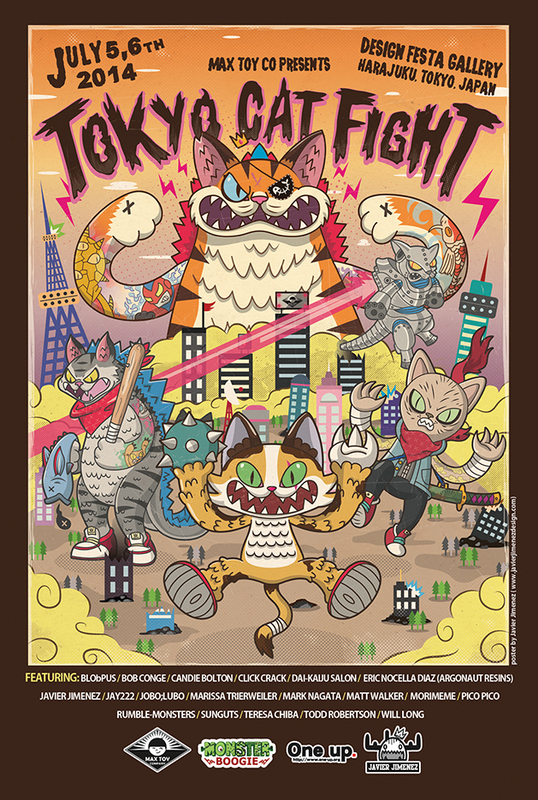 I’ll be in Japan for this fantastic Kaiju Cat themed show ! Will post my customs for the show in the next few days … ! This entry was posted in anime, art show, art toys, cats, collectibles, custom toys, design festa, Japanese toys, kaiju, kaiju toy, mark nagata, Max Toy, Max Toy Company, monster kolor, negora, painting, soft vinyl and tagged art show, art toy, cats, custom toys, design festa, gallery, harajuku, japan, javier jimenez, kaiju, mark nagata, meow, monster boogie, monster kolor, one up. Bookmark the permalink.